You have now entered probably biggest international data base for fotovoltaic + solar electricity. 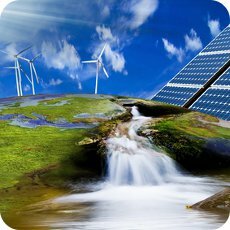 Sustainable, renewable energy is a topic we all should pay attention to. At the same time, fotovoltaic is usable for small and medium surfaces just as roofs and building faces, because of its decentralized electricity supply. Our main goal is to promote our fotovoltaic data base in all countries of the EU and across all boarders. In Germany and Belgium we achieved this goal extremly well. Here one can see which solar yields are to be expected all over the country. Such an ambitious database is not only relying on its visitors but first and foremost on its users. So come on and register yourself. free. Only together we are strong. Our users can make specifications about themselves, your opinion about renewable energies, about the construction of your photovoltaic facility and your experiences with the installation team, the finance office, building authorities, neighbors or other photovoltaic-owners. We would like to give our users a lot of freedom to create their photovoltaic-diary- as long as it has a reference to the topic solar energy. We, on our side, are very curious about the published knowledge, opinions or experiences of our users. In the Toplist are we comparing photovoltaic facilities, which are updated automatically via a data logger (Solarlog). During the day the hourly revenue values are requested of the facility and sorted by efficiency (kWh per kWp). The respective facility information can be accessed directly here. After sunset are not the hourly values requested anymore, but the total daily value of the PV facility. Here we show the uploaded pictures of our users and their operating photovoltaic facilities. With the search function, indicated below, you can sort the range of pictures according to different criteria. 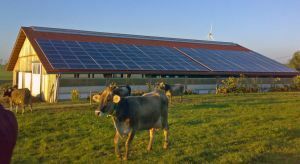 It is possible to show only facilities in your rural district or facilities with a certain solar module. We are certain, that you will discover very interesting energy facilities looking through it. 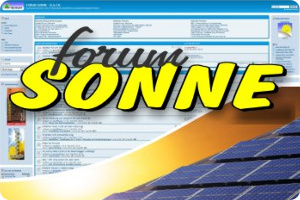 We are the new photovoltaic and solar forum. We want to convince with class instead of mass. 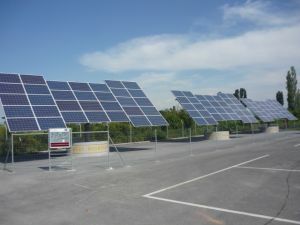 A photovoltaic- and solar-forum for G.A.CH. With us you are able to find professionals for all areas. Forum Sun, and the Team & Support forum of solar-yield. 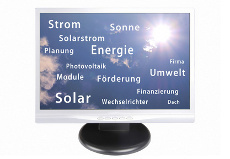 All systems operators on Sonnenertrag can now enter the installer of their Photovoltaic system and these review too. This independent , open and transparent assessment of PV installers, probably otherwise can no one else offers on the whole PV sector. In order to give future buyers the opportunity to fully inform themselves, we offer our members for the registration and review of their installer. This is done via the user menu “Edit System” then “Participate” and “Review Installer”. Probably everyone has heard before of the term photovoltaic, but what exactly is behind it. What exactly are photovoltaic systems? Most people think about the term photovoltaic system of course the sizes of systems, which can be seen on rooftops or large, open areas. But even in the calculator or for solar lamps is a type of photovoltaic system used. Even though this current is only for a small device, but still generates electricity. The photovoltaic systems, which can be found by us, are designed to use the sun to generate electricity in largely size. The sunlight hit the solar panels or solar cells here and be converted into energy. 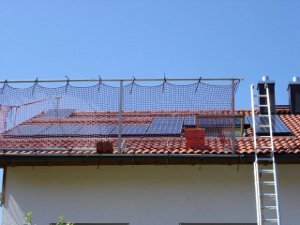 Depending on the size and type of the photovoltaic system can then either the resulting energy use for your own use or leave it to the power grid tiling. The profits here are dependent on the size, location, and of course also on the environmental conditions of the photovoltaic system. The origin of the photovoltaic goes back for 150 years, significant development progress can be reported for about 50 years. And right now, where the subject energy is on everyone's lips, the subject photovoltaic is promoted more and more too. There are many service providers who want to enter the market for a piece of the cake. Our database helps you to get an overview of opportunities and also to see what is possible with the produce of a photovoltaic system. On average you can expect from photovoltaic systems with a lifetime of 20 to 25 years. The costs that need to be invested, has one usually back after about ten years, so it is an effective investment that also at the same time contributes for a large part to environmental protection. The sun is a good thing that we will never loose, therefore, the subject photovoltaic is a renewable energy, which is for the private individual an opportunity, to be active themselves. Energy is a global problem. It does not matter where we live or what we do, energy is contantly needed. Fossil energies are disused and have to/will be replaced by renewable energies. There is no other way. 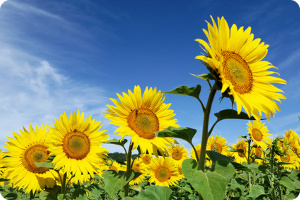 We, from solar-yield would like to help to position the regenerative solar energy better. In many countries throughout Europe are we with our free database the absolute market leader. Now we want to expand and serve all continents with information, statistics and meaningful graphs. We do not pursuit political or commercial goals. We want a 100 percent clean and renewable energy. No matter regional or gloabl, the sun shines for all of us.